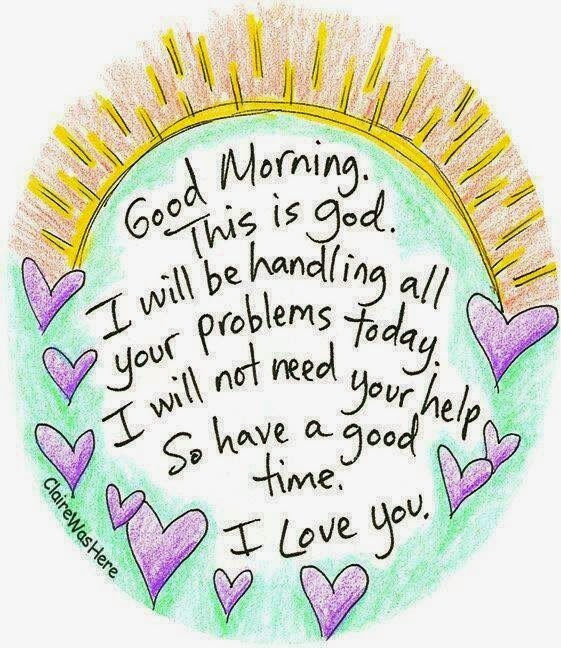 Every moment you have a choice, regardless of what has happened before. 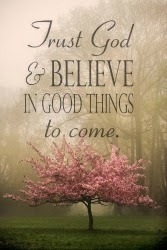 Choose right now to move forward, positively and confidently into your future. My plan when I wrote this on Christmas Eve was to post it at the end of the day. Unfortunately things got ahead of me and I didn't get it done. So I am posting it now, 4 days later. Christmas Day and Boxing Day were hectic. 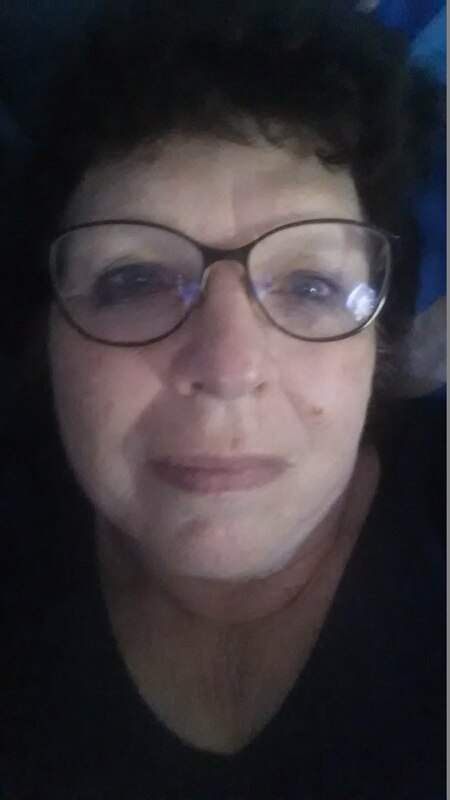 It took me Saturday to recover and I am only getting back to things now. All exhausting but great fun. 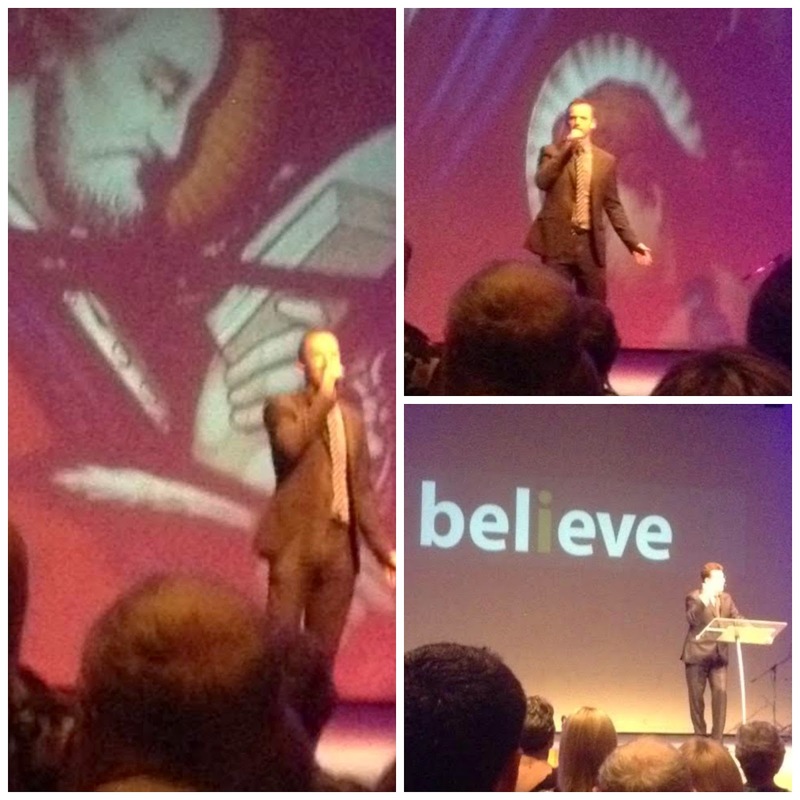 I shall spare you all the details but I will let you read about my Christmas Eve. I woke up at 5 am in the morning so I could be down at Woolworths by 6 am to finish my final grocery shopping. I arrived about 6:10 and found Woolworths already abuzz with shoppers. There was a queue about 50 metres long outside the fish shop nearby. Seafood, especially prawns, is a traditional food for Christmas in Australia these days. Some enterprising charity had set up a sausage sizzle next to the queue and shoppers were munching on sausage sandwiches as they were waiting. I began my morning with a silent prayer for order in my day. I had wasted the day before. Sometimes I panic and find myself sleeping instead of working. Tuesday was such a day so at least I was rested for my early start on Christmas Eve but I didn't have the luxury of panicking a second day. I had far too much to do. 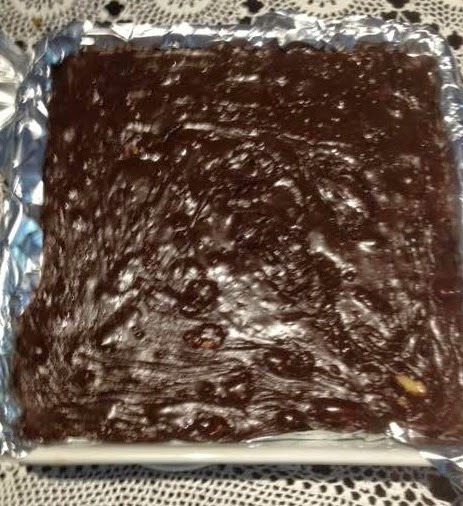 Number one was to organise my chocolate and walnut fudge. 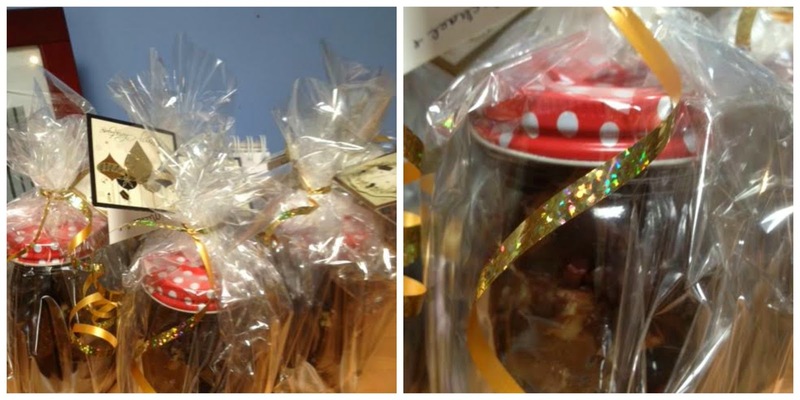 I planned to give all P:-)'s children a jar of homemade fudge. Breakfast consisted of a scrape of the fudge mixing bowl. You can find the recipe here. 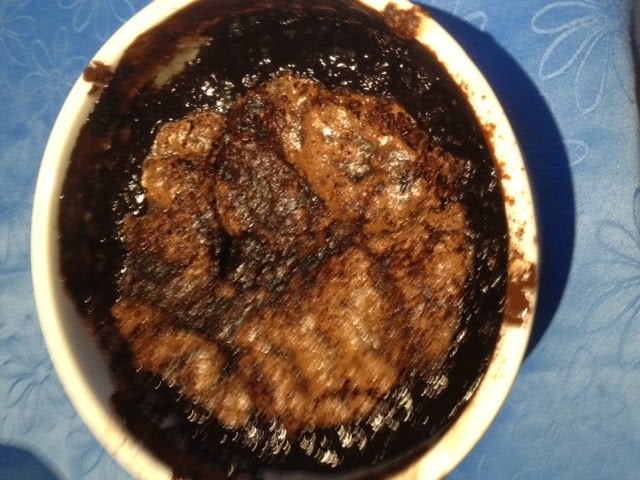 Next I cooked the chocolate self-saucing pudding for Christmas night. I was having my family for dinner. 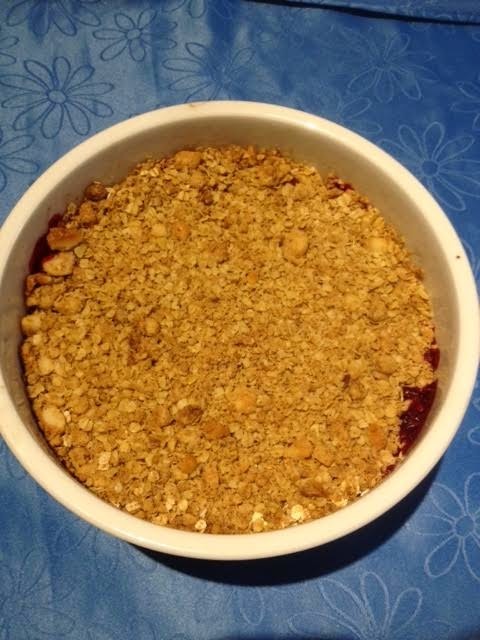 Then the apple and raspberry crumble. Great. Dessert was finished before lunchtime. 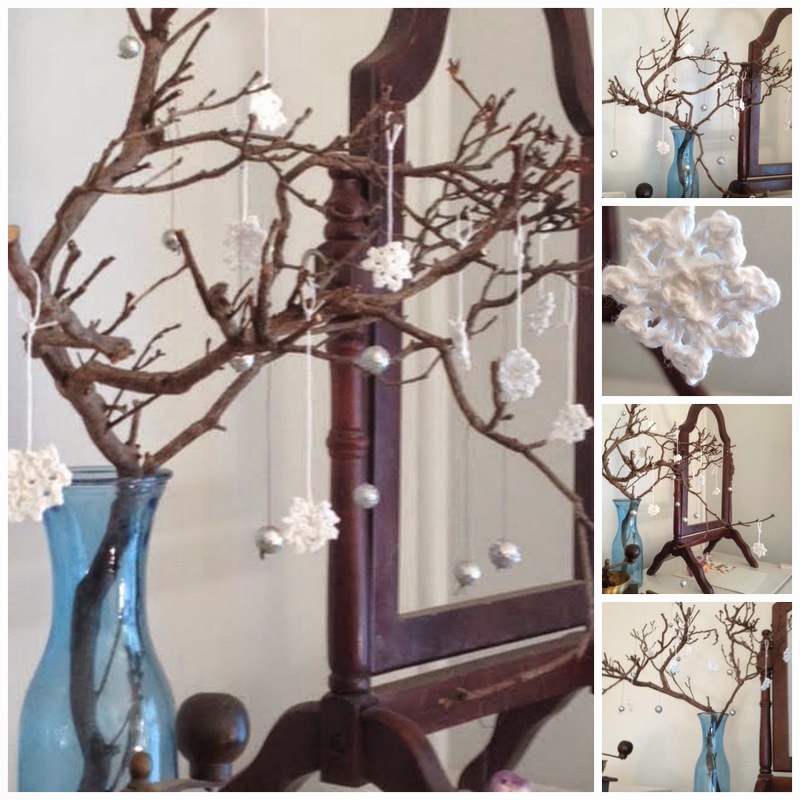 I decorated a branch in my entry hall with crocheted snowflakes and bells. I am rather fond of branches. You can find the pattern for the snowflakes here. 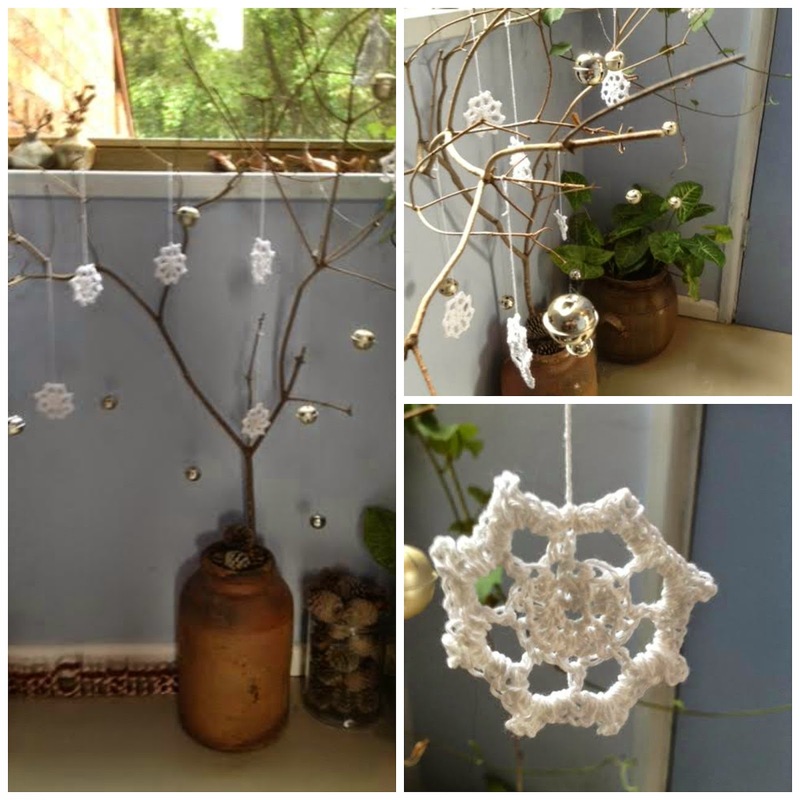 Meanwhile I decorated a smaller branch for my daughter R.
I crocheted small stars and threaded some small silver beads on dark yarn and hung them on the branch. 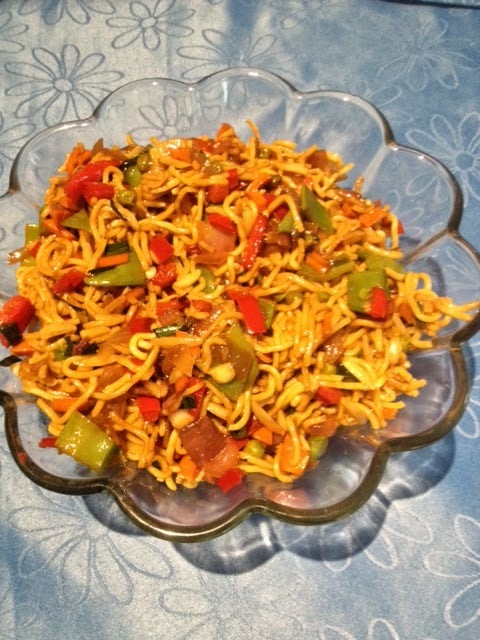 Next I made a Hokkien Noodle salad for tomorrow. 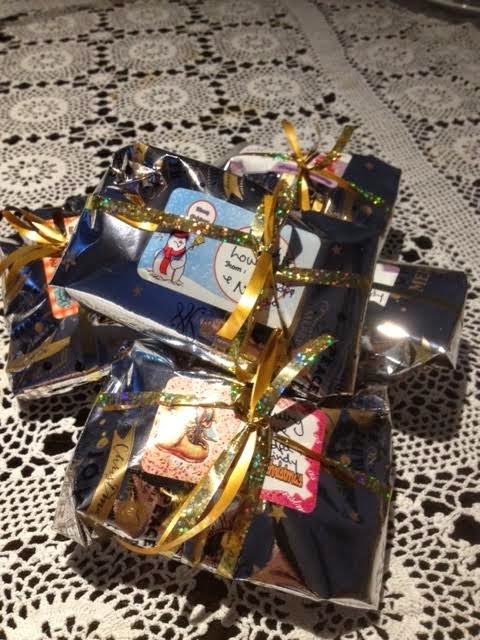 I wrapped the fudge and attached cards. 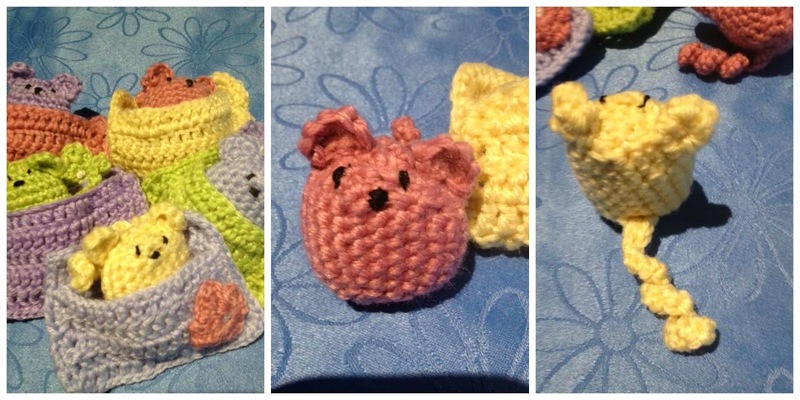 I had crocheted little mice in beds for P:-)'s 5 grandchildren as part of their Christmas presents. So I wrapped them in small silver packages. P:-) and I went to church for a carols service at 9 pm Christmas Eve. We had a great Christmas. Brunch with some of P:-)'s children at their house. Dinner with my family at my house. And Boxing Day lunch with all of P:-'s children and grand children and some extended family and friends. It's all a bit of a blur now. 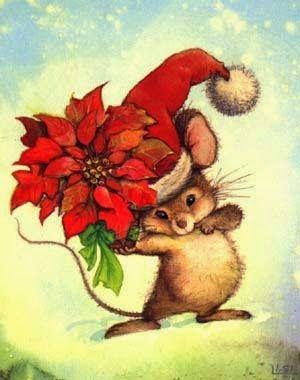 I hope everybody had a great Christmas. Savin Couëlle was born in Aix-en-Provence, France in 1929. He studied architecture at the National School of Fine Arts in Paris. After school he spent seven years in Madrid designing film sets. In 1962 he helped his architect father, Jacque renovate the Hotel Cala di Volpe in Costa Smeralda, Sardinia, Italy. 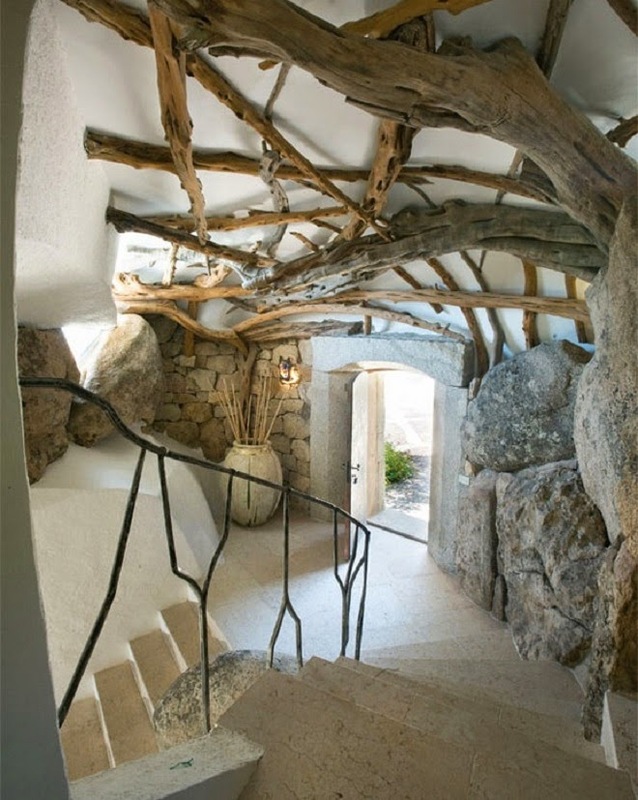 Savin has maintained a home and work base in Porto Cervo, Sardinia since 1962, although he travels and works worldwide. Click here to see more. We just love how art can bring the most surreal situations to life. Whether it’s a park filled with larger-than-life animals or even graffiti that makes us think about nature, art has a wonderful way of shaking up our everyday lives. 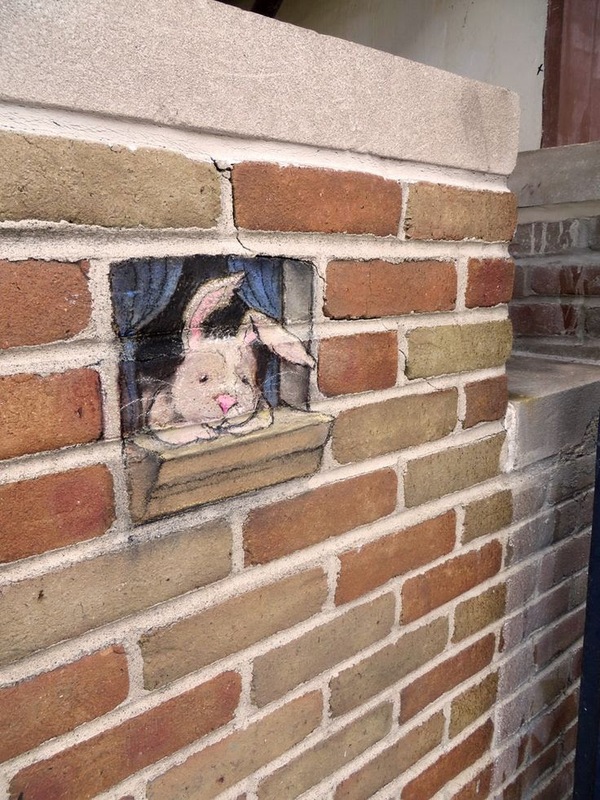 The chalk art done by David Zinn is no exception. Click here to see more. 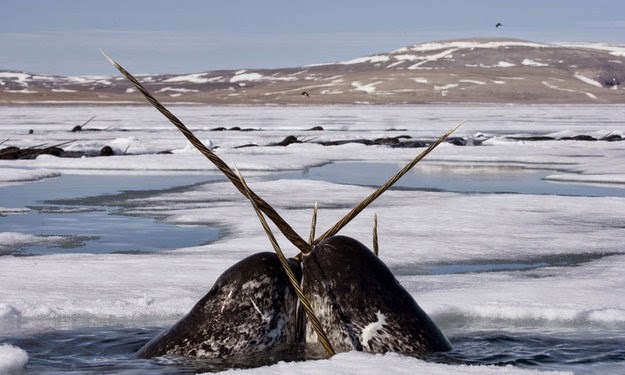 Although they’re referred to as unicorns of the sea, narwhals are very real. Click here to see more.